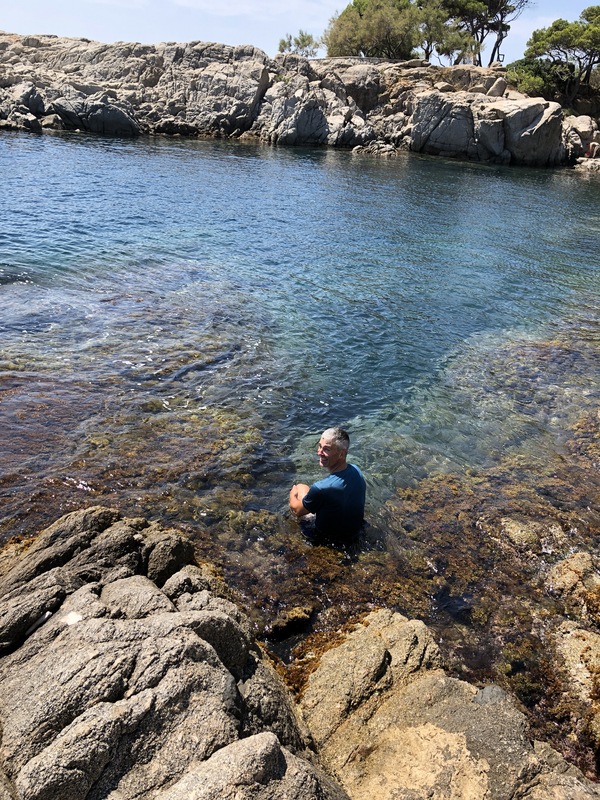 Some people go to the Costa Brava to sizzle themselves on the beach, float on giant inflatable unicorns in crystal Mediterranean waters and drink a gallon of sangria. We go to the Costa Brava to run. Oh, and drink a gallon of sangria. It all started when we found out that 25 July was Sant Jaume fiesta, a public holiday in Girona. Usually the Spanish throw a pretty awesome celebration for their fiestas (Tomatina, anyone? ), but this particular holiday just meant that everything would be shut. We had three days in the city and this was the incentive we needed to head to the beach. Buses were still running, so we wandered to the bus station and joined the masses (armed with their inflatable unicorns) on a short ride to the coast. We planned to run. Obviously. What else would we do on a 35-degree day? Our expectations for weren’t that high. 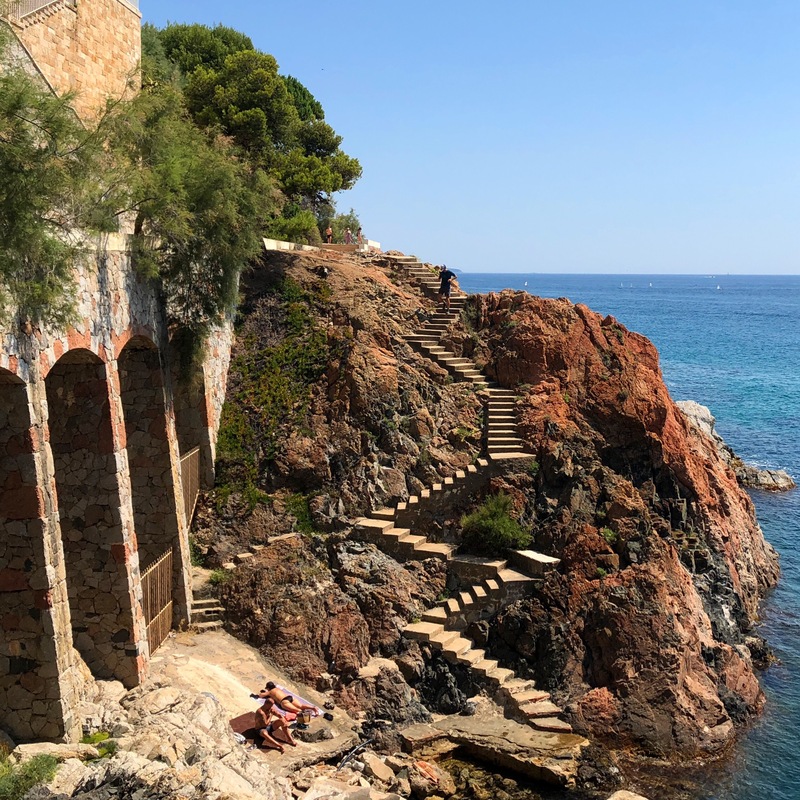 All I knew about the Costa Brava is what I’ve seen on Brits Abroad and some memories of travelling there when I was 21 with my uni mates. So, not a lot really. But enough to assume that our only running trails would probably be between neon towels on the beach. We arrived in the pretty town of Sant Feliu de Guixols, just an hour from Girona, and wandered through the main street to the marina. Here, we found trail markers. Turns out we’d stumbled across a 230km-long hiking trail that winds between Blanes and L’Estartit. 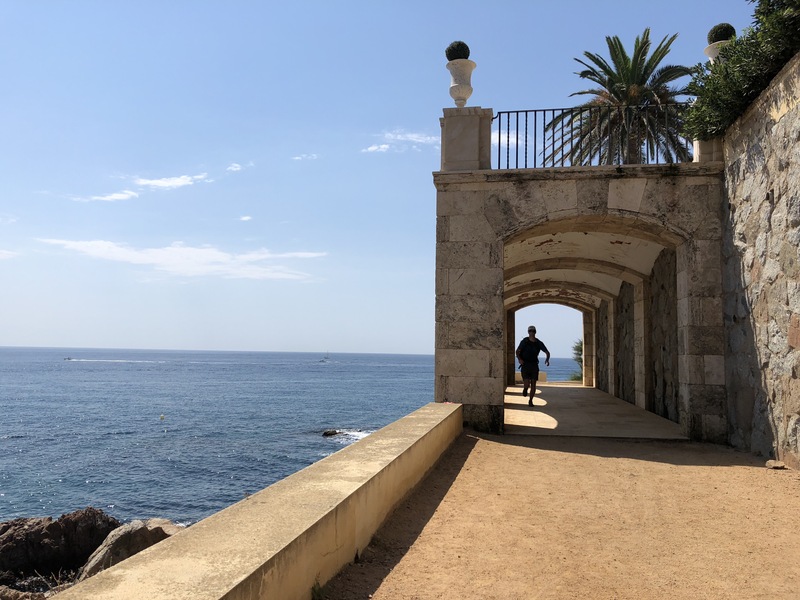 The “Cami de Ronda” is a coastal path, which means it’s far from flat and full of surprises, like tiny hidden coves, stunning castle gardens and picture-perfect beaches. Given it was a sizzling 35 degrees, we only got as far as Platja D’Aro about 10km away before turning around for ice-cream. 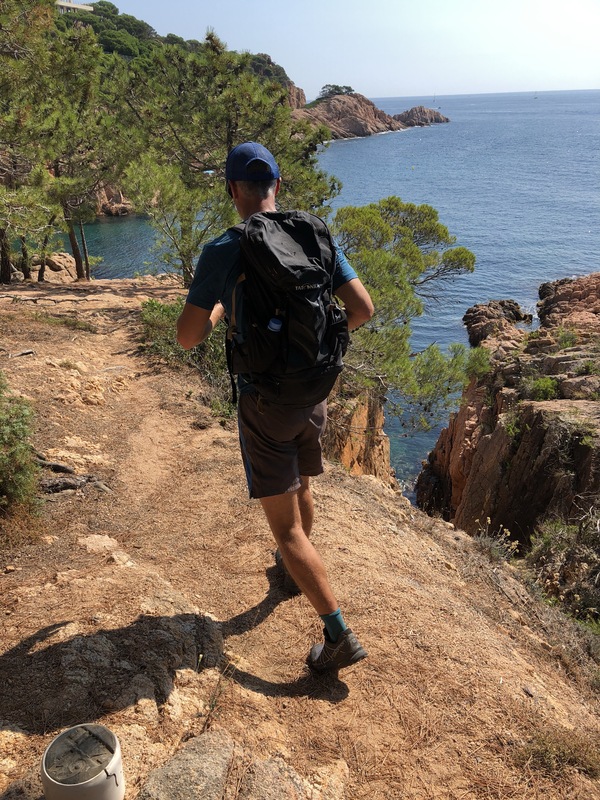 But you can follow the trail through the charming old fishing villages of Calella de Palafrugell or Llafranc and medieval villages like Pals. The towns are well connected with buses too, so with a little pre-planning you don’t have to retrace your steps like we did. Here was our next surprise: we weren’t the only crazies out running at midday in the middle of summer. 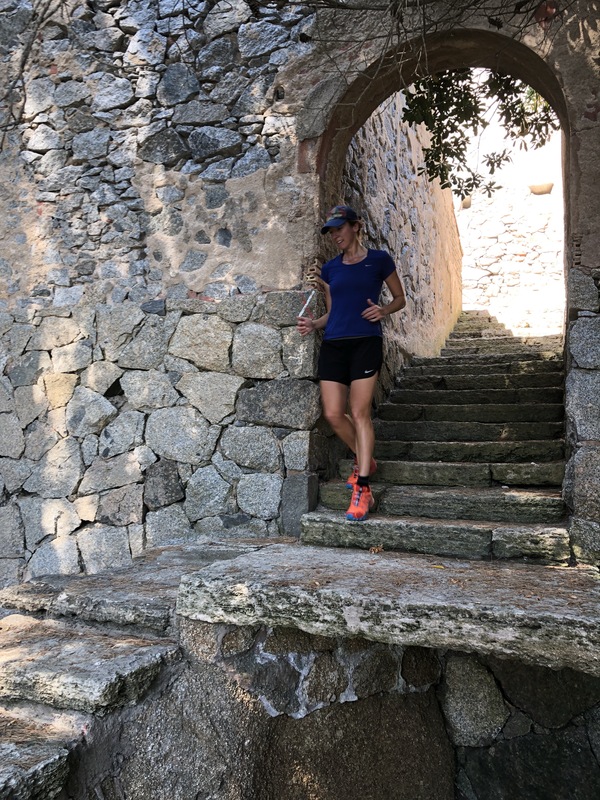 We were joined by dedicated tourists and locals, who like us were sweating their way up and down the stone steps, through shady forested areas and along the not-so-shady beaches. By 1pm, we were cooked. We turned around with our minds firmly set on a little strip of bars we’d noticed on the way in. But before that, the Med was calling. We didn’t even bother stripping off before diving into the impossibly clear waters, in our private cove. Arriving back in Sant Feliu, we realised we are in serious need of some heat training! I don’t recommend our nutrition strategy (you only need to read our GR10 story to know that it’s pretty shocking!) 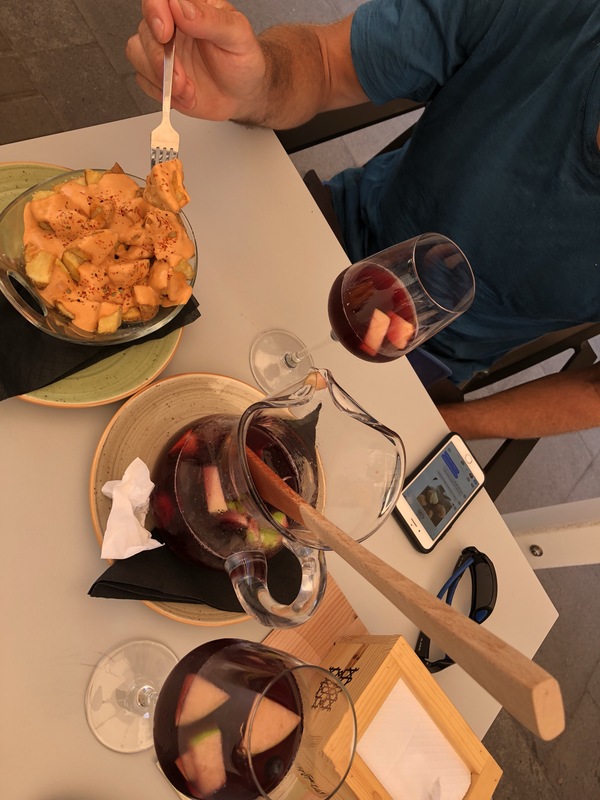 but there was honestly only one thing to cure our dehydration: sangria. Sure, the patatas bravas went down pretty well too!